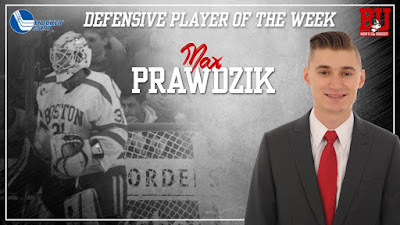 Redshirt sophomore goalie Max Prawdzik earned Hockey East Defensive Player of the Week honors for his 4-0 shutout win against New Hampshire in his first collegiate start. Sophomore Chad Krys had been named DPOW the previous week. Freshman Brady Tkachuk, with two assists against UNH and one against Northeastern, earned a spot on the Hockey East Weekly Top Performers list. Terriers fell in the polls again and are now ranked #18 in the USCHO weekly poll. In the USA Today/USA Hockey Magazine poll, BU received the 16th most votes. Episode 1/Season 3 of BU Terriers All Access is now available online. Included are features on senior captain Brandon Hickey, sophomore Patrick Harper and Bruins defenseman Charlie McAvoy as well as early season highlights. NHL.com profiles 2018 recruit Joel Farabee, who recently received an “A” rating on NHL Central Scouting’s Players to Watch List. The Cicero, NY native led the NTDP U17s in scoring last season before being promoted to the U18s and helping Team USA win the IIHF World U18 Championship last April with two goals in the gold-medal game. "Joel is a very good puck mover with outstanding vision," NHL Central Scouting's Greg Rajanen said. 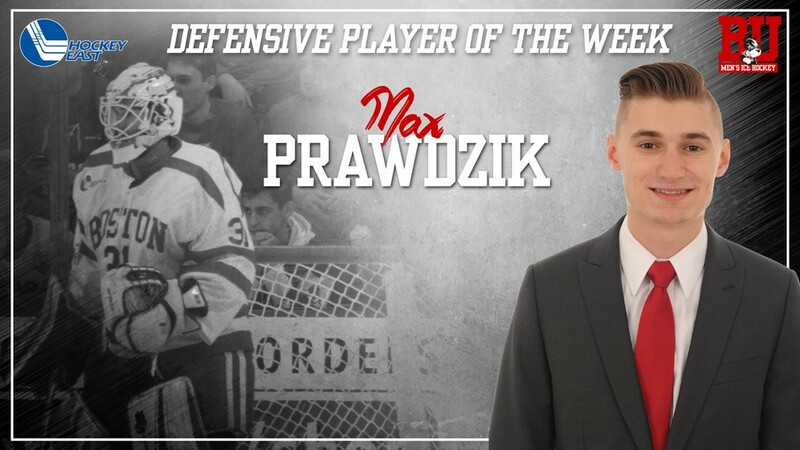 "He shows creative puck plays consistently. He has a quick release and can snap the puck with pace. He's hard on pucks in all areas of the rink. He has a high hockey IQ with good offensive instincts. Joel is a leader on his team setting an example with hard work and team play in the games that I have seen." Danny O’Regan scored his sixth goal of the season, assisted by former Terrier co-captain John McCarthy, in AHL San Jose’s 4-1 win against Manitoba. BU’s MVP in 2015-16, O’Regan leads the Barracuda in scoring with 12 points. Jakob Forsbacka Karlsson scored his fourth goal and added an assist in the Providence Bruins' 4-3 overtime loss to Springfield. JFK has nine points in 13 games with the P-Bruins. ►Former Terrier and MVP of the 2005 Beanpot Chris Bourque leads the AHL in scoring with 21 points in 15 games.